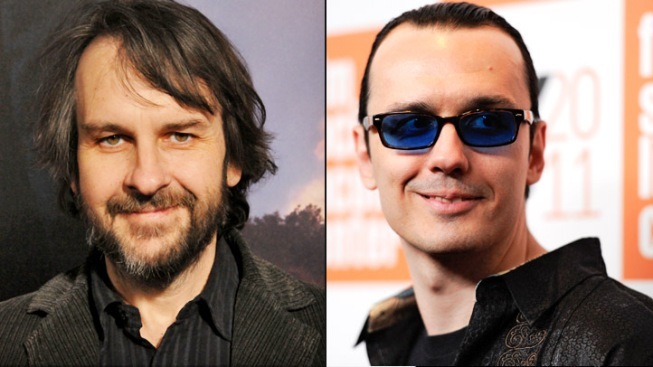 Film director Peter Jackson, (l.), has taken an interest in clearing the name of Damien Echols, (r.), a former death row inmate. "Lord of the Rings" director Peter Jackson is trying to finish the job of clearing the name of Damien Echols, who spet 18 years on death row for the 1993 murders of three Arkansas boys before being freed earlier this year. Echols, the leader of a trio whose plight became a cause celeb after an HBO documentary cast doubt on their guilt, was forced to plead guilty to lesser charges in order to gain his freedom. But he and his co-defendants have always professed their innocence. Jackson, who is in his native New Zealand filming "The Hobbit," won permission from the nation to have Echols come visit him. Jackson said he worked for several years behind the scenes to help the trio win their freedom and now hopes to prove their innocence. "He's come here to work with us on a couple of things," Jackson said. "We're doing investigative work, we're doing forensic work ... with the purpose of getting a complete pardon." Echols, now 37, Jason Baldwin and Jesse Misskelley were convicted of killing three 8-year-old boys who were found naked and tied in a drainage ditch in the Arkansas town of West Memphis. Echols was the only one sentenced to death. In 2007, lawyers representing Echols claimed that new DNA tests taken from the crime scene didn't match any of the men. In August, the three agreed to plead guilty to lesser charges and were released immediately for time served.